You need more water during pregnancy to cope with your body's physiological changes during this special time. Proper hydration helps flush waste from the body, promotes healthy kidney function for you and your baby and contributes to healthy digestion. Drinking enough water provides a variety of health benefits and helps prevent uncomfortable pregnancy symptoms, including constipation. Drinking plenty of water each day prevents dehydration during pregnancy. During pregnancy, your blood volume increases by 40 percent to accommodate your growing baby. Proper hydration also helps your body maintain a healthy level of amniotic fluid and may help reduce swelling in the extremities that may occur during the third trimester. Staying hydrated also helps prevent or relieve constipation and hemorrhoids, which are common ailments during pregnancy. Around 80 percent of expectant mothers experience some form of morning sickness during pregnancy. Some women feel sick all day, while others merely feel queasy before eating breakfast. Certain symptoms, including vomiting, increase your risk of dehydration. Because dehydration can aggravate nausea, proper hydration may help relieve some symptoms of morning sickness. Signs of dehydration include dry mouth, urinating less frequently, dizziness and cracked lips. Consult your physician if you experience signs of dehydration or are unable to keep fluids down. Dehydration may cause irregular uterine contractions, known as Braxton Hicks contractions. These contractions are infrequent, unpredictable and do not dilate the cervix. Drinking plenty of water throughout the day can help prevent or alleviate Braxton Hicks contractions. Contact your obstetrician or midwife immediately if you experience symptoms of premature labor. 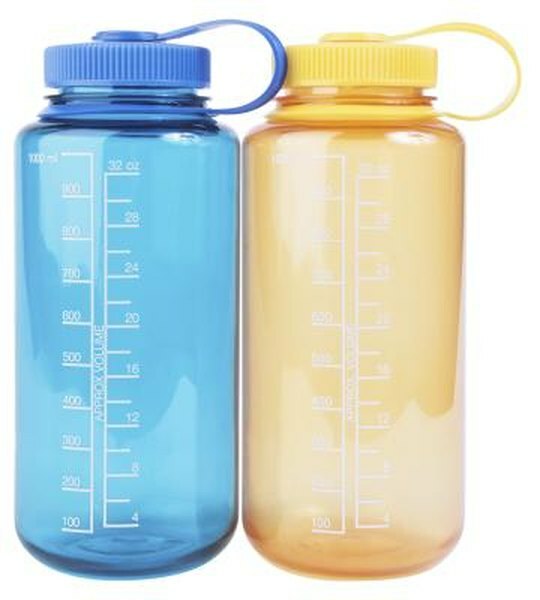 According to the American Pregnancy Association, expectant mothers need about 3 liters of water each day. Drink an additional 8 ounces for each hour of exercise you perform. If you are pregnant during the summer months, you may need more water to make up for fluids lost when you perspire. Other caffeine-free beverages, such as juice or coconut water, count toward your fluid intake. Limit caffeinated beverages, such as coffee, tea and soda, during pregnancy since they are diuretics and contribute to dehydration.